Modifications to script bodies like these usually originate from legal, business and monastic sources, with the emphasis shifting from business to monastic sources by around the 9th and 10th centuries. This is due to the rise of Christianity as the official state religion of the Roman Empire starting primarily in the 4th century. Its power base was firmly centered around the See of Rome by the 9th century as the predominant financial sponsor of scholastic development throughout the middle ages. The Roman Catholic influence on the development of scripts is evidenced by the building of churches and monasteries across Europe that served as the foundation and even legal authority of higher learning for that period. The fact that little literature not related to Christianity or religious themes is seen from this time period has caused many modern scholars not interested in that dynamic of history to declare it "the Dark Ages," as though people simply "stopped writing" for a few hundred years. Rather, the enthusiasm in developing scripts was redirected from profiting from business to profiting from religion, and some of the most important and fascinating inventions in writing originated from this medieval chapter of European history. Simple example of widely used ligatures in a handwriting-style font. In hand writing, a ligature is made by joining two or more characters in atypical fashion by merging their parts or by writing one above or inside the other. While in printing, a ligature is a group of characters that is typeset as a unit, and the characters do not have to be joined. For example, in some cases the fi ligature prints the letters f and i with a greater separation than when they are typeset as separate letters. When printing with movable type was invented around 1450, typefaces included many ligatures and additional letters, as they were based on handwriting. Ligatures made printing with movable type easier because one block would replace frequent combinations of letters and also allowed more complex and interesting character designs which would otherwise collide with one another. 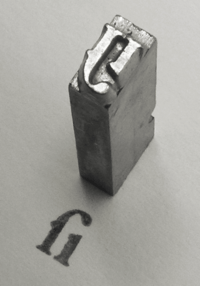 Ligatures began to fall out of use due to their complexity in the 20th century. Sans serif fonts, increasingly used for body text, generally avoid ligatures, though notable exceptions include Gill Sans and Futura. Inexpensive phototypesetting machines in the 1970s (which did not require journeyman knowledge or training to operate) also generally avoid them. The trend was further strengthened by the desktop publishing revolution starting around 1977 with the production of the Apple II. Early computer software in particular had no way to allow for ligature substitution (the automatic use of ligatures where appropriate), while most new digital fonts did not include ligatures. As most of the early PC development was designed for the English language (which already treated ligatures as optional at best) dependence on ligatures did not carry over to digital. Ligature use fell as the number of traditional hand compositors and hot metal typesetting machine operators dropped since the mass of the IBM Selectric brand of electric typewriter in 1961. A designer active in the period commented: "some of the world’s greatest typefaces were quickly becoming some of the world’s worst fonts." Ligatures have grown in popularity over the last 20 years due to an increasing interest in creating typesetting systems that evoke arcane designs and classical scripts. One of the first computer typesetting programs to take advantage of computer-driven typesetting (and later laser printers) was Donald Knuth's TeX program. Now the standard method of mathematical typesetting, its' default fonts are explicitly based on nineteenth-century styles. Many new fonts feature extensive ligature sets; these include FF Scala, Seria and others by Martin Majoor and Hoefler Text by Jonathan Hoefler. Mrs Eaves by Zuzana Licko contains a particularly large set to allow designers to create dramatic display text with a feel of antiquity. A parallel use of ligatures is seen in the creation of script fonts that join letterforms to simulate handwriting effectively. This trend is caused in part by the increased support for other languages and alphabets in modern computing, many of which use ligatures somewhat extensively. This has caused the development of new digital typesetting techniques such as OpenType, and the incorporation of ligature support into the text display systems of OS X, Windows and applications like Microsoft Office. An increasing modern trend is to use a 'Th' ligature which reduces spacing between these letters to make it easier to read, a trait infrequent in metal type. The German Eszett (also called the scharfes S, meaning sharp s) ß is an official letter of the alphabet in Germany and Austria. There is no general consensus about its history. Its name Es-zett (meaning S-Z) suggests a connection of "long s and z" (ſʒ) but the Latin script also knows a ligature of "long s over round s" (ſs). 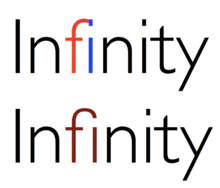 The latter is used as the design principle for the character in most of today’s typefaces. Since German was mostly set in blackletter typefaces until the 1940s, and those typefaces were rarely set in uppercase, a capital version of the Eszett never came into common use, even though its creation has been discussed since the end of the 19th century. Therefore, the common replacement in uppercase typesetting was originally SZ (Maße → MASZE, different from Masse → MASSE) and later SS (Maße → MASSE). The SS replacement is currently the only valid spelling according to the official orthography (the so-called Rechtschreibreform) in Germany and Austria. For German writing in Switzerland, the ß is omitted altogether in favour of ss. Since 2008, the capital version (ẞ) of the Eszett character is part of Unicode and appears in more and more typefaces. The new character has not yet entered mainstream writing. A new standardized German keyboard layout (DIN 2137-T2) has included the capital ß since 2012. Since the end of 2010, the Ständiger Ausschuss für geographische Namen (StAGN) suggests the new upper case character for 'ß' rather than replacing it with 'SS' or 'SZ' for geographical names. Gha (ƣ), a rarely used letter based on Q and G, was misconstrued by the ISO to be an O-I ligature due to its appearance, and is thus known (to the ISO and, in turn, Unicode) as "Oi". Dutch ĳ, however, is somewhat more ambiguous. Depending on the standard used, it can be considered a digraph, a ligature or a letter in itself, and its upper case and lower case forms are often available as a single glyph with a distinctive ligature in several professional fonts (e.g. Zapfino). Sans serif uppercase Ĳ glyphs, popular in the Netherlands, typically use a ligature resembling a U with a broken left-hand stroke. Adding to the confusion, Dutch handwriting can render y (which is not found in native Dutch words, but occurs in words borrowed from other languages) as a ĳ-glyph without the dots in its lowercase form and the IJ in its uppercase form looking virtually identical (only slightly bigger). When written/typed as two separate letters, both should be capitalized — or not — to form a correctly spelled word, like IJs or ijs (ice). TeX is an example of a computer typesetting system that makes use of ligatures automatically. 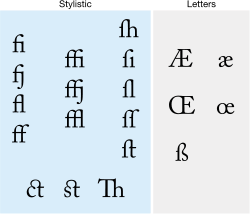 The Computer Modern Roman typeface provided with TeX includes the five common ligatures ff, fi, fl, ffi, and ffl. When TeX finds these combinations in a text, it substitutes the appropriate ligature, unless overridden by the typesetter. Opinion is divided over whether it is the job of writers or typesetters to decide where to use ligatures. CSS also supports font-variant-ligatures. common-ligatures, discretionary-ligatures, historical-ligatures and contextual are supported. Unicode maintains that ligaturing is a presentation issue rather than a character definition issue, and that, for example, "if a modern font is asked to display 'h' followed by 'r', and the font has an 'hr' ligature in it, it can display the ligature." Accordingly, the use of the special Unicode ligature characters is "discouraged", and "no more will be encoded in any circumstances". Note, however, that ligatures such as æ and œ are never used to replace arbitrary 'ae' or 'oe' sequences – 'does' can never be written 'dœs'. ↑ "Schifffahrt" is written with fff only if the writer follows the spelling reform of 1996. ↑ Frere-Jones, Tobias. "Hoefler Text". Hoefler & Frere-Jones. Retrieved 29 November 2014. ↑ Shaw, Paul. "Flawed Typefaces". Print magazine. Retrieved 30 June 2015. ↑ Ulrich, Ferdinand. "Hunt Roman". Typographica. Retrieved 21 September 2015. ↑ Shaw, Paul. "The Kerning Game". Print. Retrieved 21 September 2015. ↑ Helmut Kopka; Patrick W. Daly (1999). A Guide to LaTeX, 3rd Ed. Addison-Wesley. p. 22. ISBN 0-201-39825-7. ↑ Loretan, Mico. "Selnolig". CTAN. Retrieved 17 November 2014. ↑ The Chicago Manual of Style, 14th Ed. Chicago: The University of Chicago Press. 1993. p. 6.61. 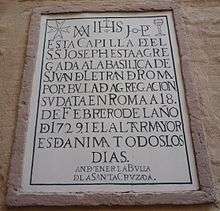 ↑ "Origen de la 'Ñ'", Aula Hispanica. ↑ Teach Yourself French. Collier's Cyclopedia, 1901. ↑ Cajori, Florian (1993). A History of Mathematical Notations. New York: Dover (reprint). ISBN 0-486-67766-4. – contains section on the history of the dollar sign, with much documentary evidence supporting the theory that $ began as a ligature for "pesos". ↑ "font-feature-settings property". MSDN. MSDN. Retrieved 24 November 2014. ↑ "CSS font-variant-ligatures Property". CSS Portal. 1 2 3 "Unicode FAQ: Ligatures, Digraphs, Presentation Forms vs. Plain Text". Unicode Consortium. 2015-07-06. ↑ Freytag, Asmus; McGowan, Rick; Whistler, Ken (2006-05-08). "Known Anomalies in Unicode Character Names". Unicode Technical Note #27. Unicode Inc. Retrieved 2009-05-29. ↑ "The art of typography in the digital age ligatures". Retrieved November 14, 2014. ↑ Erickson, Britta (2001). 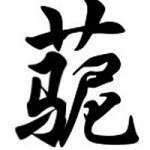 The Art of Xu Bing: Words Without Meaning, Meaning Without Words (Asian Art & Culture). Freer Gallery of Art and Arthur M. Sackler Ga. ISBN 9780295981437.